12.000 roses, verbally twelve thousand roses. Yes, exactly so many! This paradise is actually available to anyone, assuming of course, that you know of its existence. Don’t you like or cannot walk up the hill? That’s not a problem. You can take a tram to the Ujezd station which is only few steps away from the overground services. The ticket costs 32 coronas – circa 5 zlotych. Then just find your way into a small railway carriage and....few minutes later you are in a rosy heaven. Alighting at the stop, believe me or not, you know straight away you have reached the place. 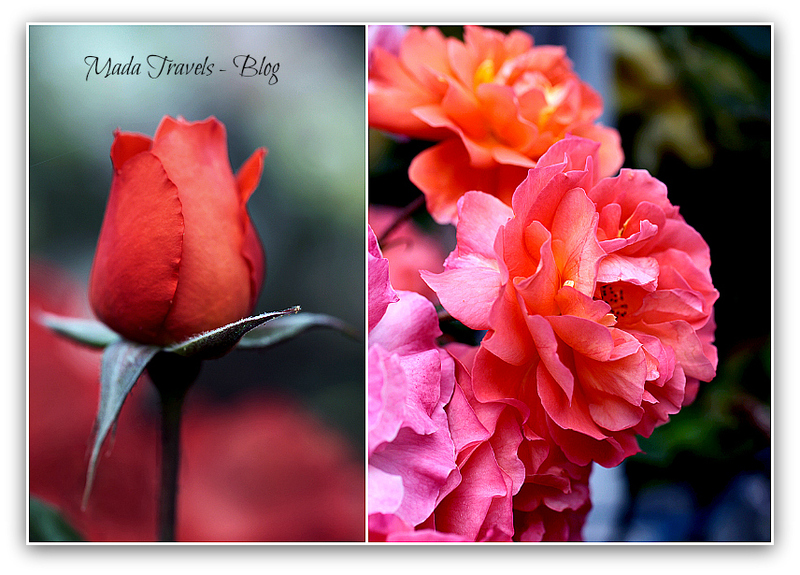 The scent of roses delicately permeates the air. It was a sweltering summer day and the scent was most likely increased by heat. The Hill Petrin is like a different reality, far from the noise of car engines and the smell of petrol fumes in the centre of a big city like Prague. It takes 10 mins by the overground and then the only heard sounds are the buzz of insects, chats and playing kids. I felt like I teleported and I loved it! On the left, the building with an unusual roof caught my attention. It was Stefanikova hvezdarna – the astronomical observatory founded in 1928. I still haven’t visited it but it will definitely happen one day. On the right, below the garden level, there is another interesting construction, the Lookout Tower – Petrinska rozhledna. Always occupied by the crowds so I am still waiting for my moment to climb up the 299 steps. 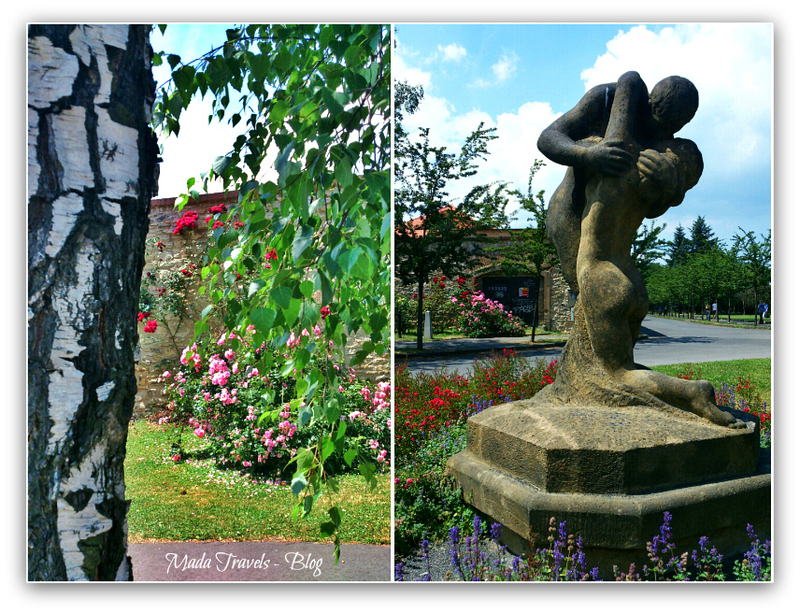 Entering the garden we pass by ‘Polibek’ what means the ‘Kiss’ ( by Josef Maratka 1921) – the sculpture of a kissing couple forever held in each other’s arms. The structure of the park attracts romantic walks. There are many charming benches and corners. The garden covers the area of nearly 6 hectares and is set over 300 metres above the sea level, on the ground that used to belong to a military. The oldest part of it – Rosarium – with a look of a rosette and a hand fan, was founded in the Thirties of the last century. It was designed by Josef Kumpan. The whole graphic layout can be seen by clicking here. Petrinskie rosarium is the biggest garden of this kind that I have ever seen. It is an unquestionable fest for the senses. I felt like cradling my face into the luscious rosebuds. And I couldn’t resist from touching them softly, the silky rosebuds here and there. The amount of different colours and shades exceeded my expectations. And the scent in the air was like a soothing balm to the soul. 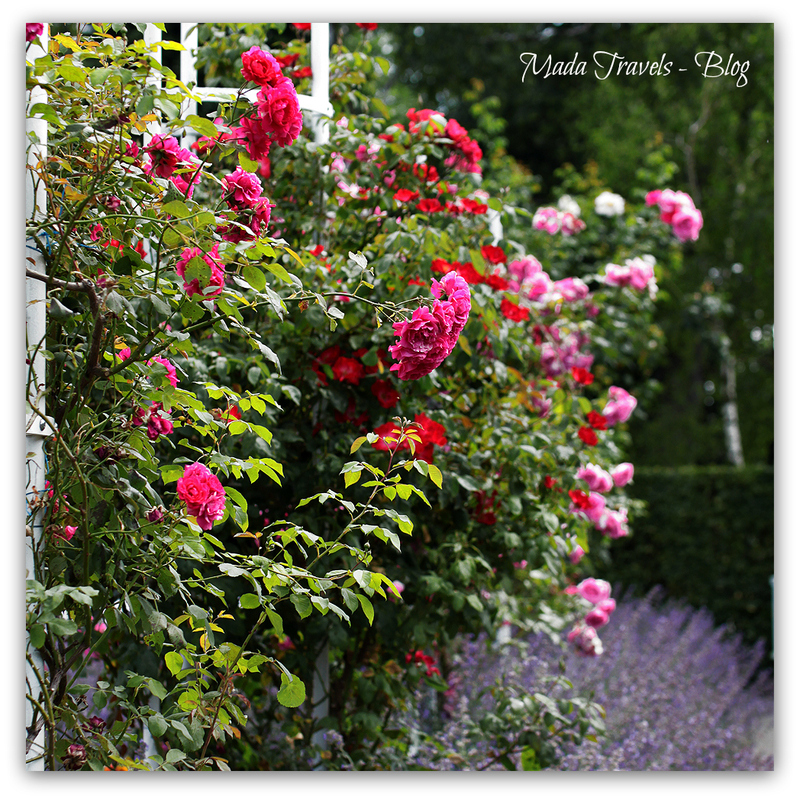 The Rose Garden is not the only garden on the hill but in my opinion – the most beautiful! I like being amazed by the places I visit, especially by those visually clichéd like Prague. The enormous size of the garden on a top of the hill was an unexpected surprise. 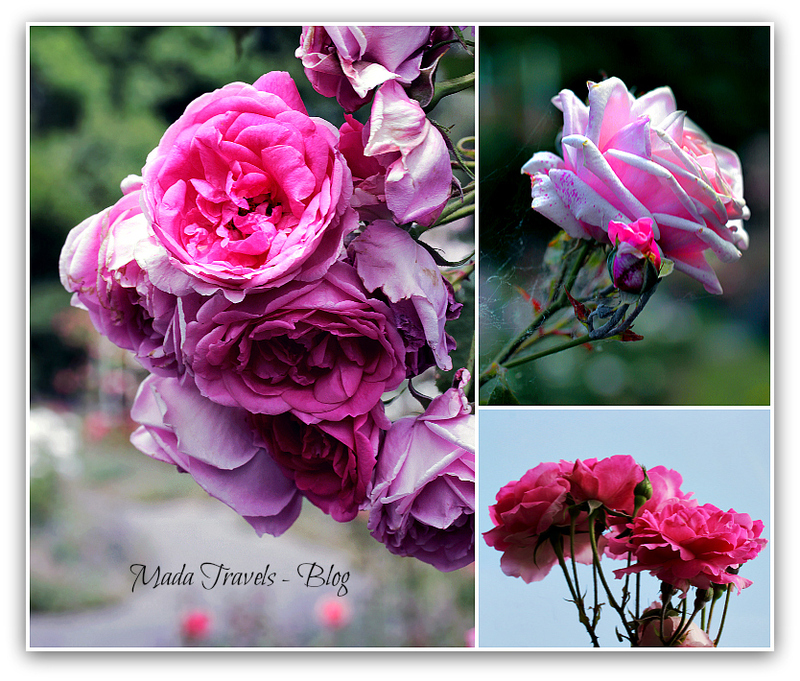 There are many more hidden treasures in Petrin that I will talk about on another occasion. 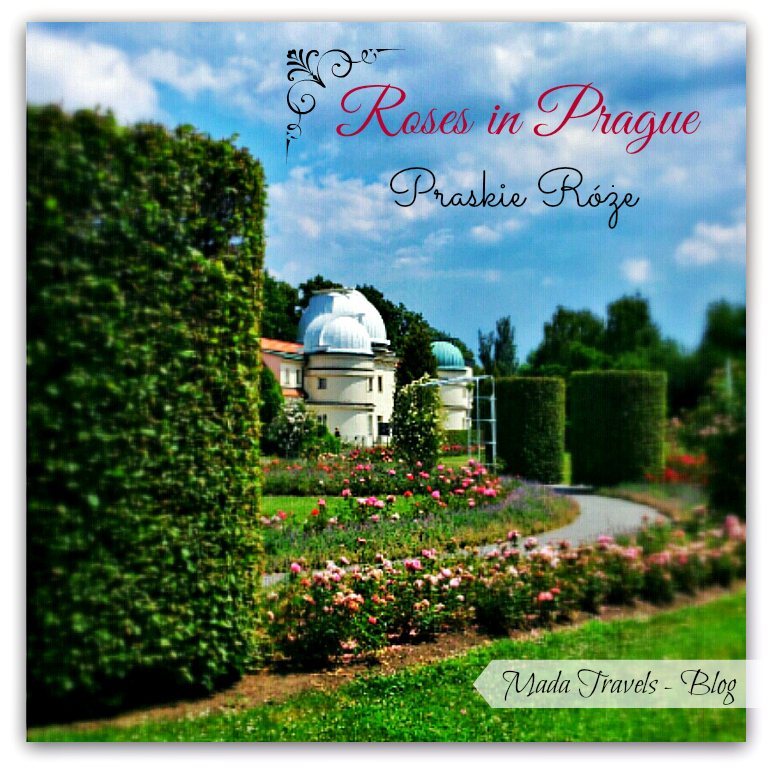 If you are planning to visit Prague in May or June then a walk on its slopes, surrounded by the blossomed trees in full bloom, is beyond a question. 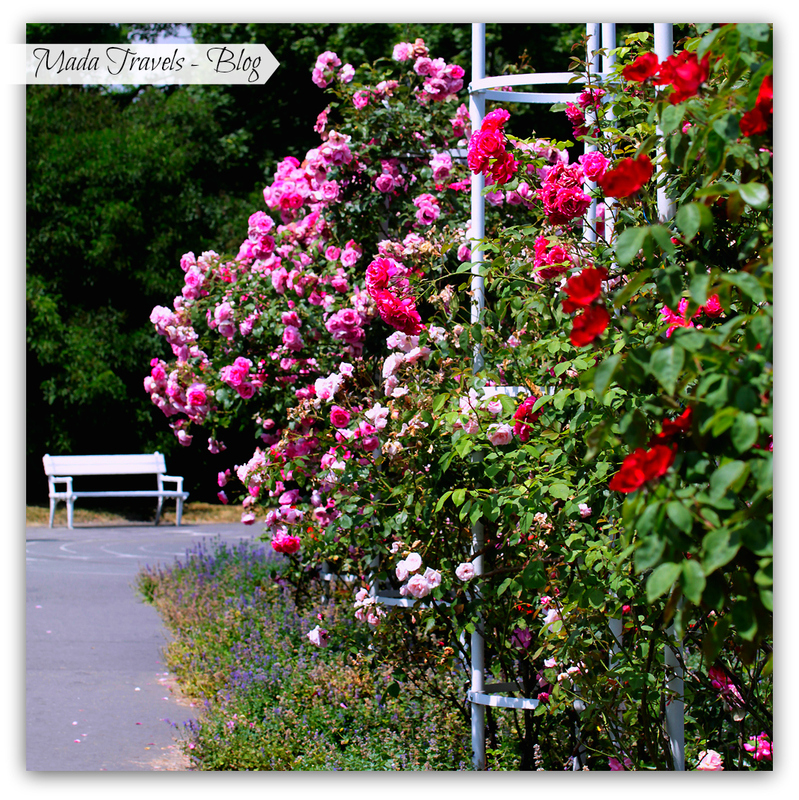 Do you like rose gardens? Have you visited one that made a WOW effect on you? I am curious of your impressions.